Kareena Kapoor, Amrita Arora and Malaika Arora are known for their friendship. The trio is often snapped spending time together on different occasions. Kareena Kapoor, Amrita Arora and Malaika Arora were seen together on a dinner date with a friend in Mumbai on March 5, 2018. 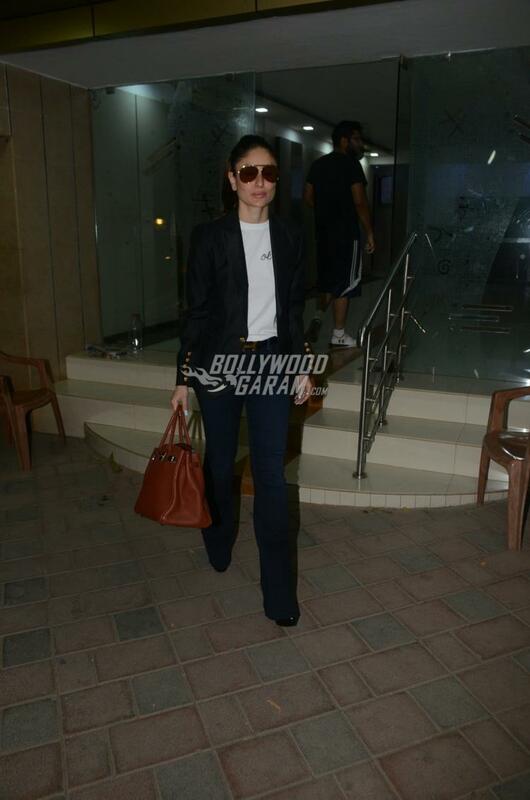 The Jab We Met actress looked pretty as usual in a white t-shirt, blue denims and a stylish black jacket with a trendy pair of glares. Close friend Amrita was seen in a casual pink tank top with black track pants while Malaika was seen in blue denims and grey jacket with white sneakers. On the work front, Kareena has almost wrapped the shoot of the film Veere Di Wedding which also stars Sonam Kapoor, Swara Bhaskar and Shikha Talsania. The first look of the film was released a while back and has made the audience curious. Kareena is now being approached by many filmmakers for upcoming projects. There are reports that Kareena has signed an upcoming film by Ashutosh Gowarikar, which will be a period drama and will also star Arjun Kapoor.